I grew up in rural western Montana. 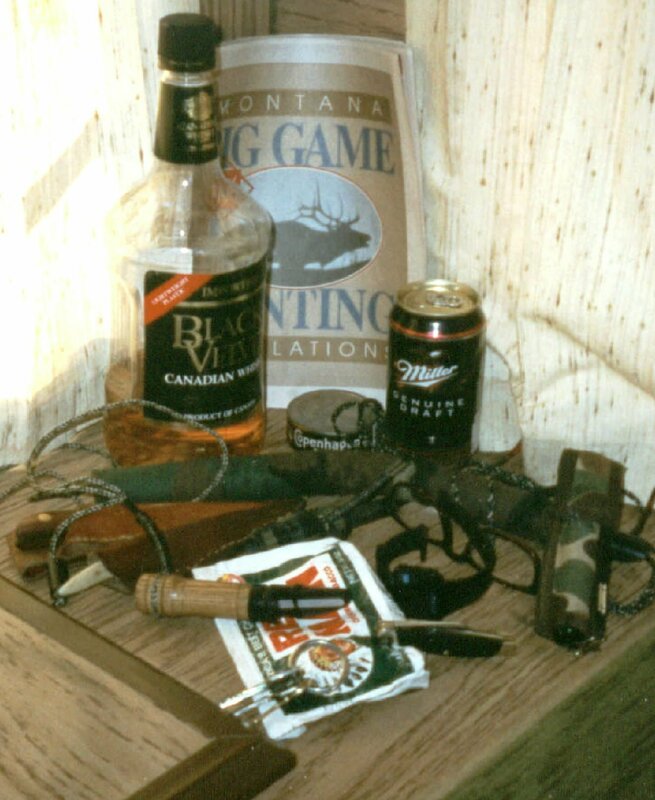 At the time, you didn’t really need to say rural, as all western Montana was rural. I don’t want to say that I grew up poor but our first house in Montana was two logging shacks and a chicken coop someone put one roof over. Hunting for us wasn’t about family tradition or hanging a trophy on the wall. It was about putting meat in the freezer, little white packages of insurance against a long winter. During my youth I contracted EFS, Empty Freezer Syndrome. Tragically, EFS is terminal, however it can be put into remission by filling your freezer with wild meat. Store bought beef, pork, or mutton, doesn’t work, it has to be wild meat: deer, elk, moose, salmon, halibut, even bear sausage. Soon after high school, I had a strong desire to leave home and go to college. Mostly this was the result of a poor hunting season and my father realizing the white packages in his freezer would last longer if I lived somewhere else. I secured a job through family connections at the Forest Service working on a saw crew and fighting forest fires. This allowed me to pay for college at Montana State in Bozeman and a few $4.19 twelve packs of Keystone Light tall boys at Hinky Dinky. Once college was finished, in a scant four and a half years, I followed this good-looking blond chick to Butte Montana. I don’t remember much about my time in Butte, it has everything to do with the amount of alcohol I drank while living there. I do remember that the people in Butte are some of the best. From Butte, I chased the blond to Miles City. From there I talked the blond into moving to Alaska by marrying her. We spent thirteen incredible years living in Fairbanks Alaska. I soon found out that everything is bigger in Alaska. Caribou are bigger than deer, moose are bigger than elk, salmon are bigger than trout, and halibut are bigger than whitetails. You can guess what effect this had on my EFS, that’s right, I got the biggest damn freezer I could find. We tried to soak up everything Alaska had to offer, hunting caribou on the North Slope, fishing for halibut in the 520 feet deep hole out of Homer, hunting deer in Prince William Sound, moose hunting around Fairbanks and fishing everywhere. Family pulled us back to Montana, that and the bugle of a bull elk trying to protect his harem. My passion for the outdoors remains and I continue to hunt as much as I can fit into my schedule of work and looking after my two beautiful daughters. Writing has become another passion, growing stronger over the last few years and compelling me to write. If I am unable to get outdoors for any length of time, I become surly and petulant, and so it is with writing. My best days are those when I wander around the woods with my bow, listening to the elk bugle, and writing a new chapter in my head.